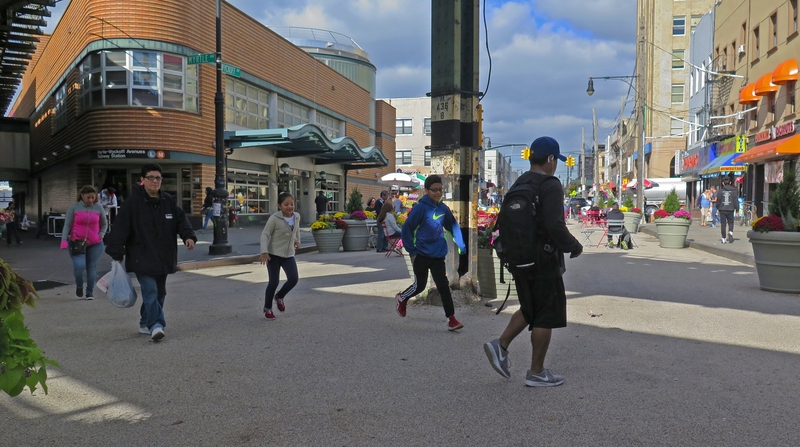 "Our countdown to 2017 continues as we celebrate the transformation of Wyckoff Ave, Myrtle Ave & Palmetto St into the beautiful Myrtle-Wyckoff #NYCPlaza connecting Queens & Brooklyn!" The video below was posted on the NYC DOT Facebook page. It helps people visualize the before & after images of Myrtle/Wyckoff. If you'd like to see what other street imporvement projects the NYC DOT worked on this year, please visit the "Video" section on the NYC DOT Facebook page (this link will take you to the "Videos" section").